I’ll be based here in Des Moines for next couple of weeks for The RespectAbility Report, covering the presidential candidates and asking them about critical issues important to our community. 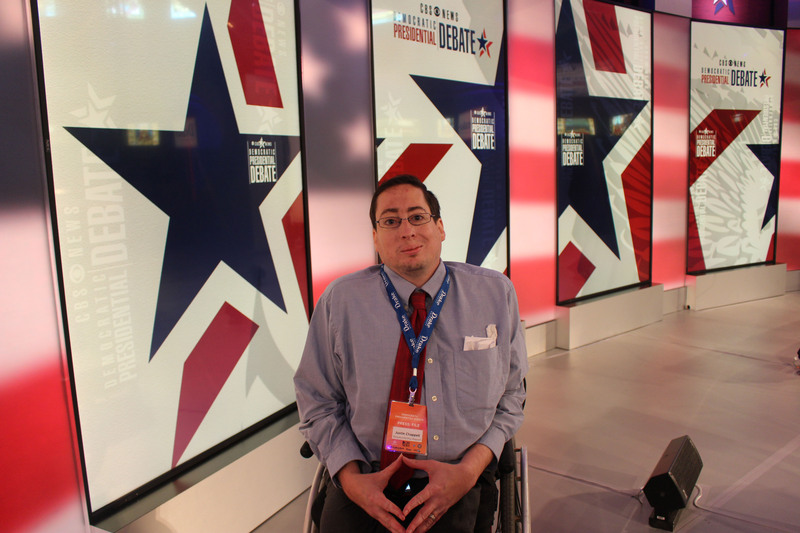 Throughout the 2016 election season, I’ll be working with disability activists throughout the country to mobilize our community in the policial process. 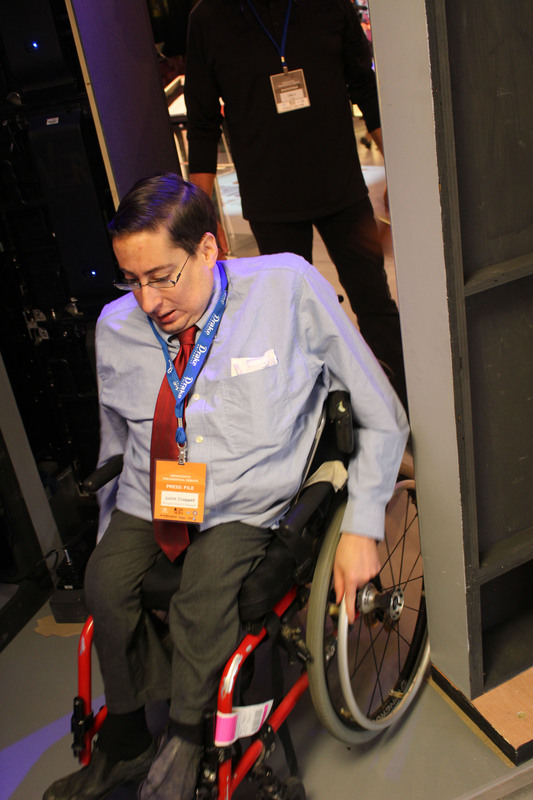 In addition to covering the campaigns, I’ll provide insight into what it’s like to be a member of the press using a wheelchair. 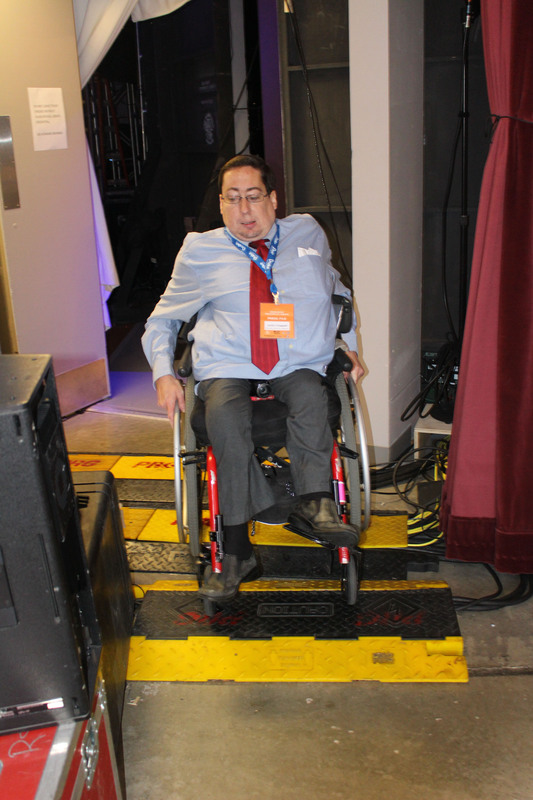 Already today, I’ve encoutered several obstacles from large media cables taped to the floor to a debate stage set built very narrowly. 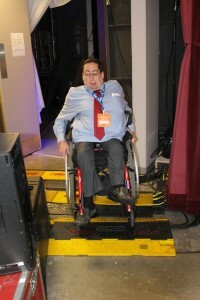 But the CBS and DNC crews have been helpful in assisting me in getting to where I need to be.